Canadian Food For Children is making sleeping mats for children out of milk bags. The material used in milk bags resists mildew and bugs, is washable, and provides cushioning for children who sleep on the ground or on bug infested leaves. They prevent 75% of diseases from parasites and hookworms. It takes 250 to 400 milk bags to weave one mattress. They are shipped to Haiti and Africa. We are looking for the outer milk bags only. The bag that says Neilson or Beatrice or whatever, that holds the 3 smaller bags. 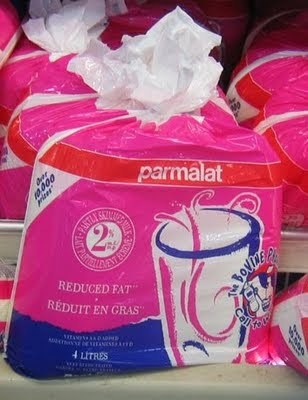 Currently, the City of Toronto does not recycle milk bags. Instead of going to the landfill, milk bags can be dropped off at the Earl Beatty Library.